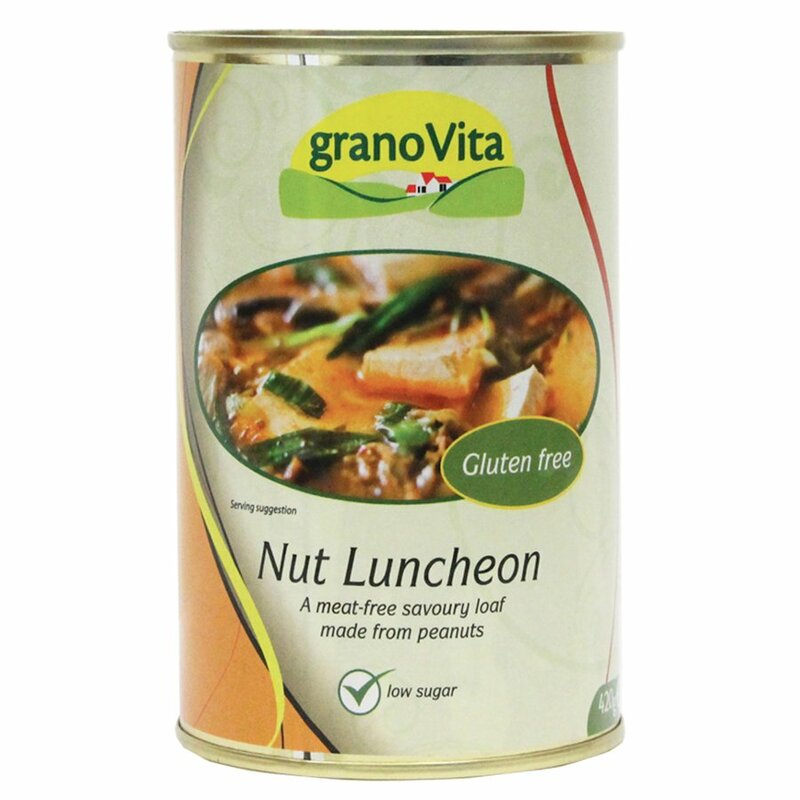 To replace the Granose Nuttolene which is now no longer made, we are pleased to introduce Granovita Nut Luncheon, a virtually identical product. Ideal for grilling, lightly frying or even eaten cold with salad, this delicious vegetarian peanut roll is gluten free and suitable for vegetarian and vegan diets. Water, peanuts (49.1%), sea salt. The Granovita Nut Luncheon 420g product ethics are indicated below. To learn more about these product ethics and to see related products, follow the links below. nice to have something in store which is healthy and quick to make...just in case! As a 'veggie' diet provider was delighted to find this available on Natural Collection website .... our local health food stores haven't stocked tinned 'nut meats' for years. This is slightly softer than 'Nuttolene' with which I was familiar but is versatile in use and quite tasty. Will certainly purchase again. There are currently no questions to display about Granovita Nut Luncheon 420g. 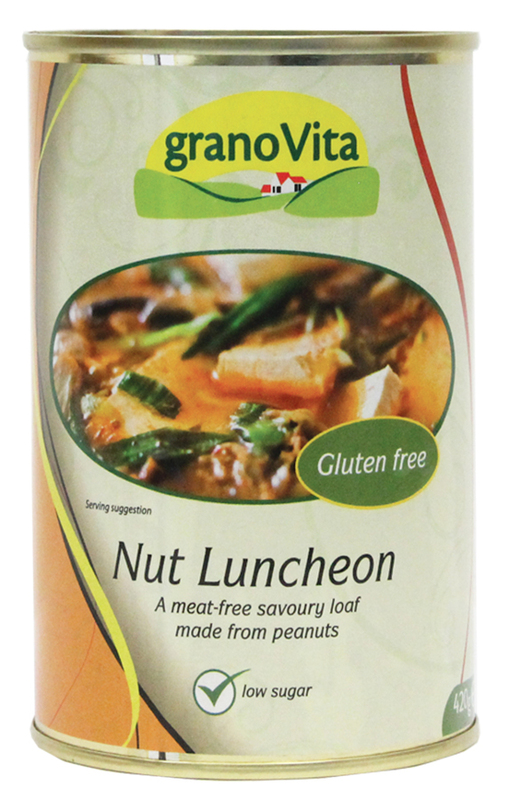 Granovita manufacture delicious healthy eating vegetarian foods, much of which is also suitable for vegans and is organic, gluten-free and/or dairy-free. Granovita believe that nutrition is the best place to start achieving a healthy lifestyle and are proud to present such a delicious range of healthy foods. To ensure that only the finest organic ingredients make up Granovita products, the ingredients are harvested when at their most nutritious, maximising the flavour as well as adding health benefits.